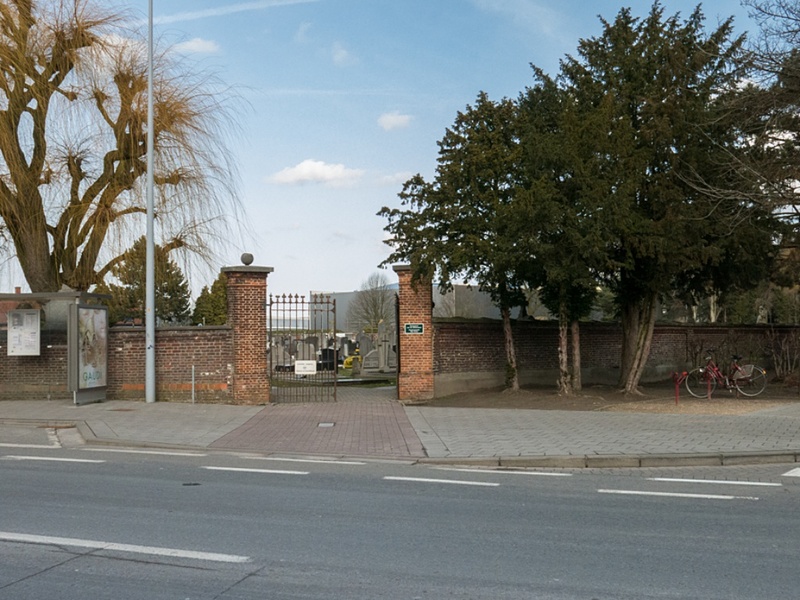 Deinze is situated 17 kilometres south-west of Gent, astride the Kortrijk-Gent road. From Kortrijk to Gent on A14/E17 take the exit at Junction 7 and take the N35 towards Deinze. At the traffic lights at the 'T' Junction between Gaversesteenweg and Volhardingslaan turn right following the signs for Tielt. Carry straight on at roundabout into Tweebruggenlaan and at the traffic lights, before canal, take left hand turning into Stadionlaan. Follow this road as it changes name to Kongoplein and then to Peter Benoitlaan. The communal cemetery is on the corner of Peter Benoitlaan and Leon Declercqstraat. On entering the cemetery turn right and follow the path. Take the second path to the left and the war grave is the first on the left. 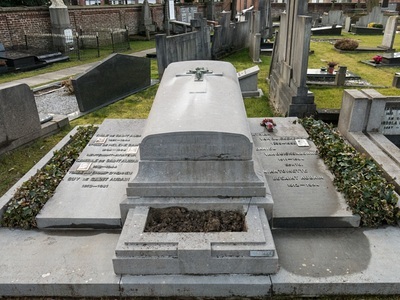 Deinze Communal Cemetery contains one Commonwealth burial of the Second World War, that of a Belgian airman who served with the Royal Air Force. The grave is marked by a private memorial. 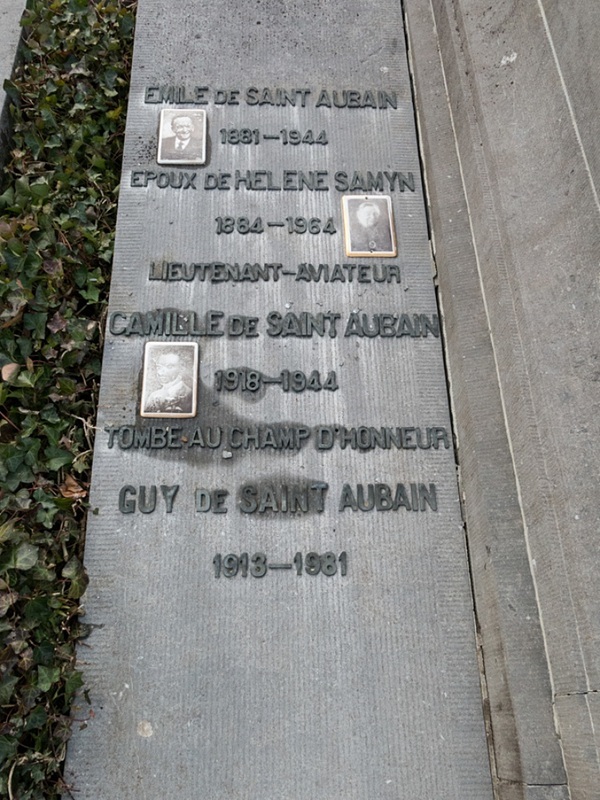 130771 Flying Officer Camille Albert Joseph De Saint Aubain, Pilot in 349 (Belgian) Sqdn. Royal Air Force Volunteer Reserve, died 19th October 1944. Son of Emile and Helene de Saint Aubain, of Gand, Belgium.